All Things Chic is a fashion and beauty blog that specifically caters to the modern day mom. It is an ideal destination for any mom who has gone out wearing her pajama top under her sweater, had snot wiped on her designer dresses, found used chewing gum in her brand new purse and roamed all over the mall with funny stickers on her back. All Things Chic helps mothers to stay aware of the latest trends, shows them how to enjoy their favorite celebrity looks for less and gives them access to the best deals in the market. What makes All Things Chic so unique is that it translates all those glam magazines into styles that are accessible to real people. So if you’re looking for more ideas about the hottest products in the market or the chicest travel destinations, you know where to find it. All Things Chic featured the Vine Vera Nail Kit in one of its articles and advised moms to try out the Vine Vera Nail Kit instead of going for a manicure. The author states that the Vine Vera Nail Kit offers the perfect tools to spruce your hands with professional looking results. The article also mentions that this kit contains a nail file, a 3-step buffer, Resveratrol hand and body lotion and cuticle oil. 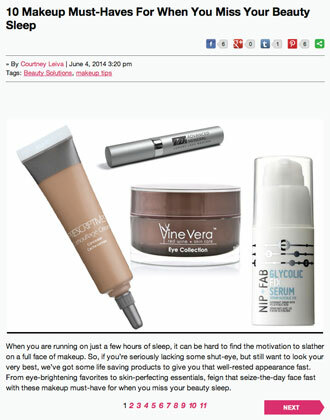 Vine Vera would like to thank All Things Chic for introducing the Vine Vera Nail Kit to its mommy readers. 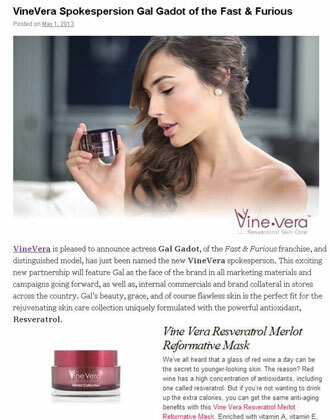 Vine Vera products can also help moms get back their younger looks and glowing skin to look and feel young and look more beautiful all over again.